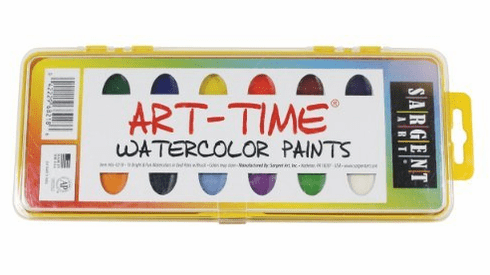 This is economical alternative to our premium watercolors. Colors are still vibrant, but priced just right for a strained budget. AP certified; non-toxic and safe. Bright and fun watercolors have more color then the leading brand. Peggable, clear plastic case stores away and uses minimal space. Synthetic bristle brush included. Made in USA.